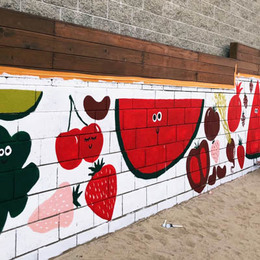 Amina Mucciolo, of the whimsical design firm Studio Mucci, recently embarked on a six-day long journey with her husband to paint and redecorate their 650-square-foot loft in Los Angeles. With Amina’s creative background, she understands the importance of top-quality paint. It is essential in setting the tone for a space. 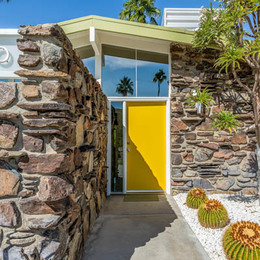 The home’s makeover included transforming the white walls of her living room, bedroom, and hallway. 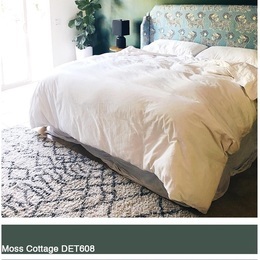 Not one to shy away from color, Amina used about twenty interior paint colors from Dunn-Edwards Paints. 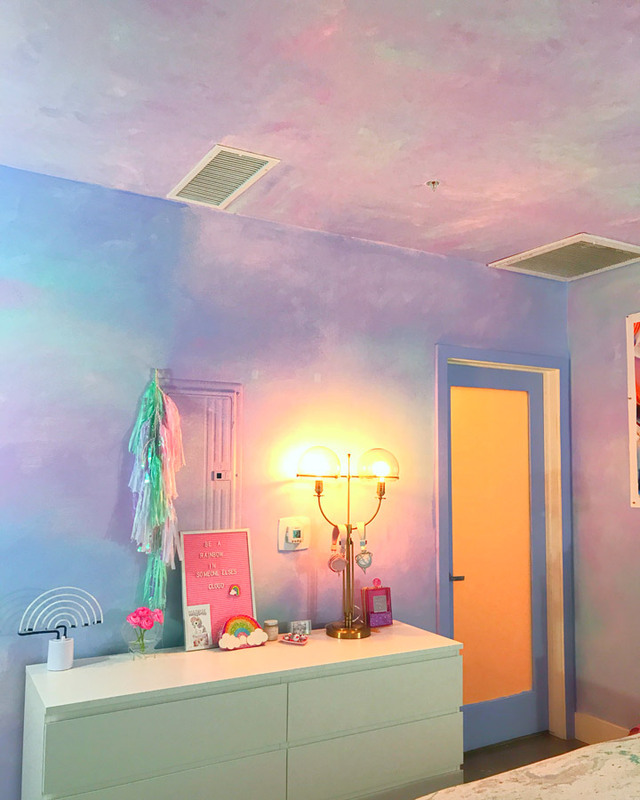 The colors, of course, were the perfect fit for her joy-infused, unicorn-inspired Studio Mucci aesthetic. Next, for the Living room she chose to go with very bright colors. 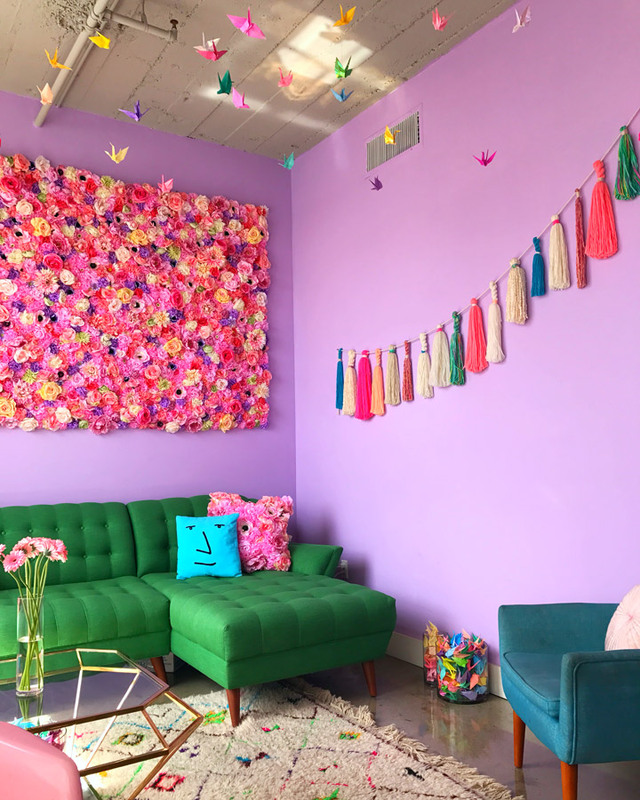 Amina used Dunn-Edwards Favorite Lavender (DE5997) as her base color to compliment the flower wall above the sofa. The twenty-foot wall opposite the sofa, which leads down the hallway to the bedroom, is where Amina had her Jackson Pollack moment. She created a splatter effect on a rainbow base. This wall has quickly become Amina’s favorite wall in the loft. 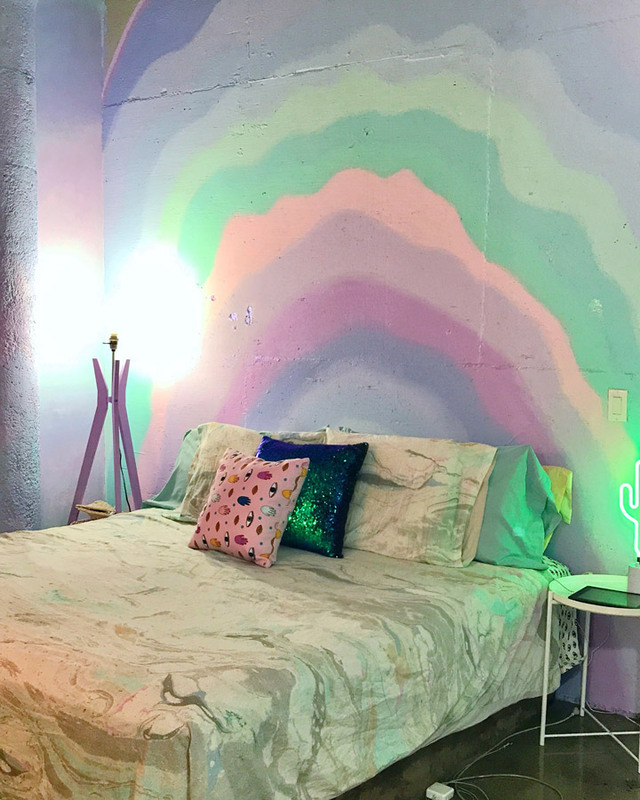 Another benefit of Amina’s rainbow ombre on the splatter wall is its effortless transition to the Dunn-Edwards paint colors she used in the bedroom. 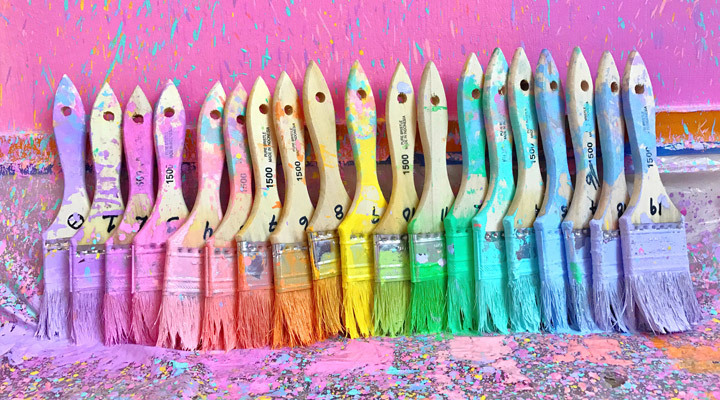 Amina prefers using brushes for a controlled and smooth finish, especially for the bedroom mural. 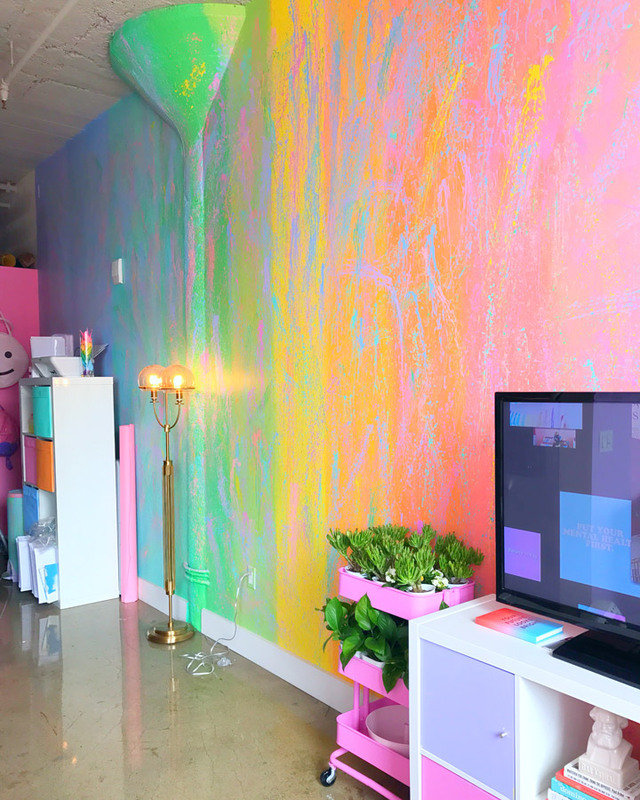 Adding a little bit of water to the paint was an effective method for the rainbow splatter wall. 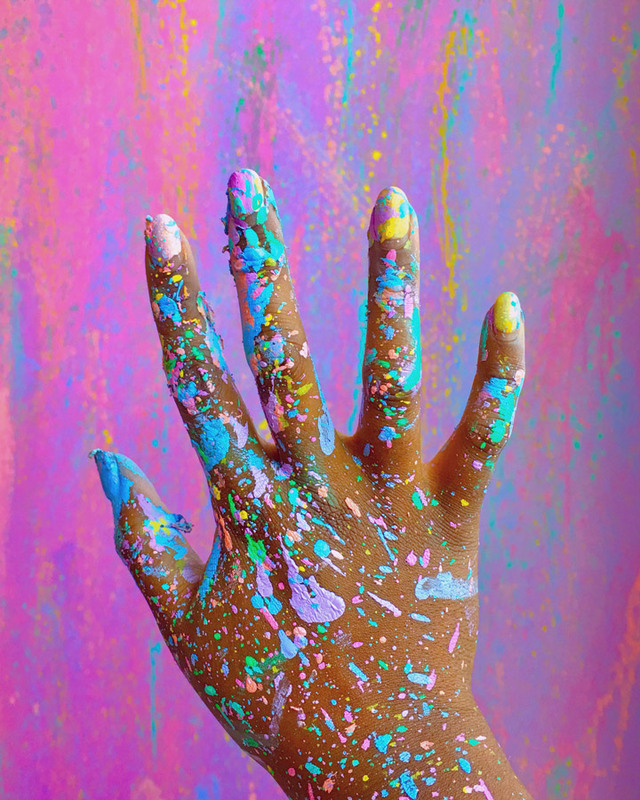 Play around with your splatter technique to get the splatter pattern of your dreams; it’s all in the flick of your wrist. 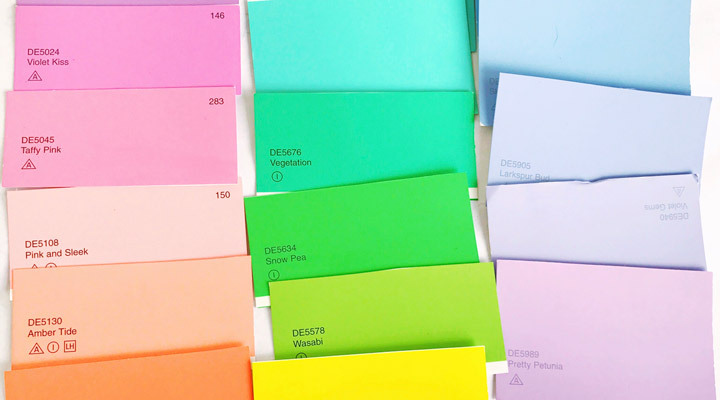 Organization is key when working with a lot of colors. Amina numbered the brushes and corresponding paint buckets to keep things from getting too chaotic. Take into account the material on which you will be painting. Amina found concrete to be porous. As a result it required a few extra coats of paint. Try using Dunn-Edwards ULTRASHIELD Muti-Surface Primer first, which has Zero VOC (Volatile Organic Compounds) and is a water based acrylic primer that works well on concrete, among other surfaces. Splattering paint will get messy -- even with drop cloths. Top quality interior paint made the cleanup of unwanted paint splatters quick and easy. When undertaking a similar project, choosing reliable and top-quality paint like Dunn-Edwards Paints is essential. 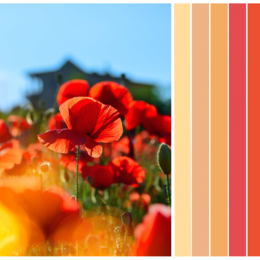 Download our InstaColor® app and start planning your project today.